Is your significant other acting a bit strange lately or getting conscious with your expenses than usual? Has your favourite ring mysteriously disappeared at one point? Well, he is probably planning for a proposal, so it would be helpful to drop a few hints about the engagement ring you like. Although you may have already decided on your dream rock long time ago, chances are he is not on the same boat as you. Although it can get intimidating to drop hints, guys really appreciate some help when it comes to shopping for a proposal ring. After all, he only wants the best for you—a ring that will sweep you off your feet. You do not have to be overly obvious when dropping clues. Just briefly and casually mention rings in your day to day conversations. 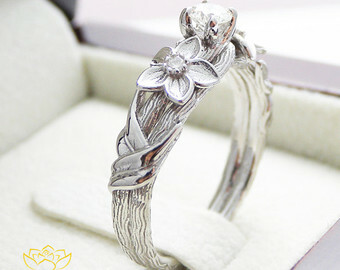 If he’s really into ring shopping, he will surely pick up on what you like and don’t like. Here are some ways on how you can get your guy figure out the right proposal ring to buy. If you have not yet discovered the power of Pinterest, you’re missing out big time! The virtual mood boards of this social media platform are a great place to display all the gorgeous engagement rings you would want to own ‘one day’. But make sure to link your Pinterest account to your Facebook account to increase the odds of your future fiance stumbling upon your dream wedding ring. Who else can give better advice to your boyfriend about your dream engagement ring than your BFFs? Your best friends are the best people to have when it comes to sneaking hints to your significant other about the ring you like and don’t like. Maybe he assumes you like the typical round cut pave diamond ring, but it’s really an emerald cut diamond with tapered baguette side stones you love. Your BFFs will be your voice of reason (since you’re not around) when it comes to picking an engagement ring. The next time you will be strolling with beau along Orchard Road or at any Singapore mall, drop by at a jewellery store and take a quick look at the displays. 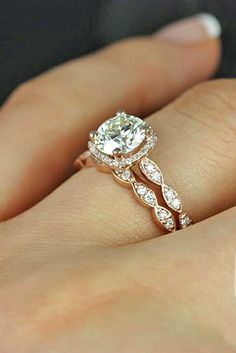 Playfully say that if one day he will be proposing, these are the kinds of rings you would like to have, while pointing out a few that appeals to you the most. If your man is on the hunt, he’s surely taking mental notes and return to the jewellery store the next day to get the ring of your dreams. If one of your friends or someone you both know just got engaged and you happen to like her engagement ring, let your man know. Just make sure to be specific, or you’ll get an identical ring. If it’s the halo style you love about the ring, blurt out you love halo rings. If it’s the white gold band you find stunning, let him know you love your colleague’s white gold ring. Let him know the specifics of the ring that you love and you don’t love, so he’ll remember those details as he picks out a proposal ring. Are you bound to attend a couple of weddings in the next few months? Perhaps, you have an engaged friend, cousin or colleague wherein you will be one of the bridesmaids or even just a guest. This is a perfect excuse to carry a couple of wedding magazines with you. Casually flip through the pages while you and your man are sitting on the couch. You can also purposely leave a magazine on his coffee table, widely opened to an editorial page of ring styles or diamond advertisement that has your dream ring on it. If all else fails, just be straight forward. If you’re confident that he will not take it negatively or you know that you’re both in the same boat about marriage, sit down and talk about your engagement and wedding ring. Start by saying something that it is going to be an investment and you would want to make sure that the rings are worth all the hard work. 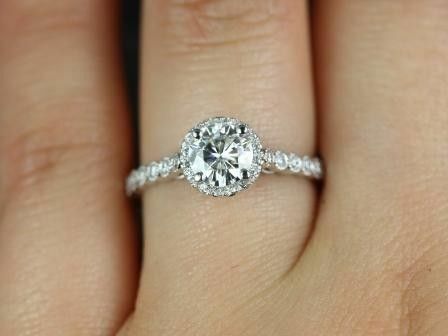 However, don’t demand for the ring you want, but do let him know what you would love. Remember, don’t be shy. This ring, like your future marriage, is meant to last forever, so it’s important to find the perfect one that you would never want to take off for the rest of your life.